Disney puts faith and 4 bln in the power of the force. Bob Iger and George Lucas are either flaunting their California roots, or they’ve got something to hide. The Walt Disney boss unveiled a $4 billion purchase of the Star Wars and Indiana Jones creator’s homegrown studio, Lucasfilm, on a day when Wall Street and stock markets were shut down by Hurricane Sandy. It’s just as well: Iger is asking his shareholders to put lots of faith in the power of the Force. Nor is it the first time Iger has used Disney’s treasure to acquire the creative forces the company can’t seem to muster on its own. 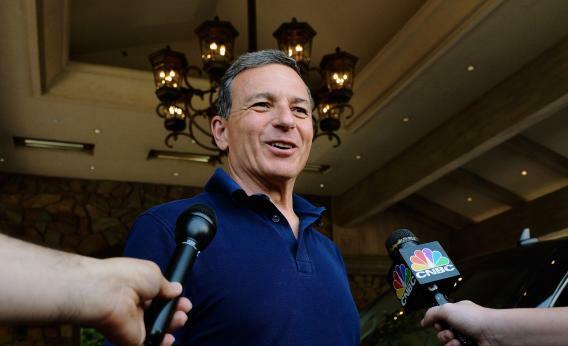 Iger paid 45 times earnings for Pixar in 2006 and almost as much again for Marvel three years later. While both have proved useful in filling the studio’s pipelines, the benefits for shareholders are still unclear. While Marvel produced some hits like the Avengers, other studios retained many of the rights to these. Another Marvel superhero film, John Carter, barely broke even, according to Box Office Mojo. The benefits of Lucasfilm are even harder to analyze. As a private company, its numbers remain on the dark side – and Disney has done very little to bring them to light. Iger does point out that the consumer products unit should rake in a similar amount of revenue this year as Marvel’s did in 2009 - some $215 million. Assuming generously that the unit’s margins are in line with Disney’s own, those earnings could be worth around $600 million at Disney’s multiple of 11 times. The real attraction lies in the potential to draw further life from the Star Wars franchise. Fans have been waiting for three sequels since the Return of the Jedi in 1983. Instead Lucas produced three prequels between 1999 and 2005. Iger is planning to release a seventh episode in 2015 and reckons each sequel could generate $1.5 billion at the box office. Assuming production costs run to a fifth of that – more than was spent making 2005’s Revenge of the Sith – the $4 billion spent on Lucasfilm might look downright Ewokian in comparison to the potential profits from reviving the series. Fans, of course, may worry that Disney will inject even more child-pleasing Jar Jar Binks-like characters than Lucas did. But if history is any guide, they’ll go see the movies anyway and complain later. That, more than anything, may be the guiding force of Iger’s latest deal.